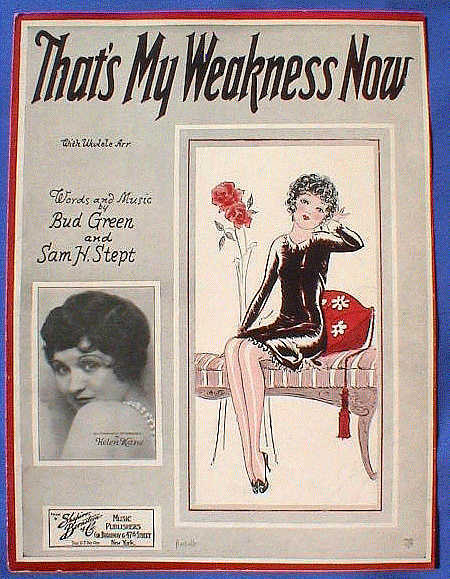 THAT’S MY WEAKNESS NOW was a very popular song in the late Twenties: in my memory, it is connected to Whiteman, Bix, and the Rhythm Boys; Helen Kane; Cliff Edwards, and I am sure two dozen others. Its bouncy melody and amorous conceit –“[S]he loves these [apparently difficult] acts, so I am compelled to perform them also — pity poor me who has to suffer billing and cooing [but not really]” — made both singers and audiences float along in amusement. I don’t know who thought of the song for this July 1944 record date, but it’s a wonderful choice. This was one of Harry Lim’s Keynote dates, so he might have been the inspiration — or leader Pete Brown might have liked the song as a perfect match for his own jaunty, accented, ebullient playing. Here is THAT’S MY WEAKNESS NOW, performed by Brown, alto saxophone; Joe Thomas, trumpet; Kenny Kersey, piano; Milt Hinton, string bass; J.C. Heard, drums. I think the beauties of this recording are self-evident to anyone willing to listen closely for just over four minutes — perhaps a seeming-lifetime in our restless century. The disc starts with an unaccompanied introduction by the under-celebrated Kenny Kersey, who had absorbed Teddy Wilson and Earl Hines but also was very much aware of what the jazz critics like to call, retrospectively, “advanced harmonies,” but which musicians of the time might have called “funny chords.” Kersey had played with Andy Kirk as well as with Red Allen’s Cafe Society band, and (for me) his accompaniment nearly steals the show during the first chorus, where the melody is played in a neat, clipped way by the horns. And as for bass and drums: they provide a swing heartbeat. The horns offer very individual sounds. I don’t think an experienced listener would mistake Brown for any other altoist: the way he pushes the beat, as if his notes and phrases were impetuous, his solos impatient to get out of the horn where they could be heard. And his tone! Lemony, bittersweet, tart? One would need a truly subtle food writer to describe the sound of his alto. Joe Thomas, ah, Joe Thomas — glowing and spare but deeply emotive without playing one more note than needed . . . a true lesson in storytelling, full of nuance but never over-elaborated. In the melding of the horns, they are synchronous (you hear the professionalism of musicians used to working in sections, in big bands, where blending was essential) but their individual voices are audible, their sounds so personal. Even on longer-playing discs, the idea of splitting a chorus (the horns play the first sixteen bars of a thirty-two bar chorus; another instrument takes the eight-bar “bridge,” then the horns return or let the other players have the second half) was nothing new, but Kersey’s piano, spare and elegant, is refreshing. But while Kersey is exploring, so — in the most sympathetic way — is Milt, climbing higher on his instrument without ever seeming to solo. Heard’s emphatic brushwork (out of Sidney Catlett) never falters, wavers, or becomes mechanical. The following sixteen bars are equally calm — they are riffing this evening! — with an emphatic flare on the last notes of the chorus, where the horns seem especially determined to repeat the title in song. Brown was either a generous or wise leader — I think both — content to build a performance architecturally rather than saying THIS IS MY RECORD and playing all through it, so if we are waiting for the leader to solo, it doesn’t happen for some time. So the next chorus is apparently a Kersey solo, and what an elegantly swinging pianist — great musical intelligence and no cliches — he was. But just as Kersey stole the show behind the horns, the horns (with their simple little pushing riff) might easily distract us from his gleam. Horn backgrounds to a piano solo used to be commonplace — in the departed ideal world — but one does not hear them in this century, with some exceptions. The way the whole band — is it only a quintet? — sounds, with such sweet subtle variety — is gratifying. Kersey has some of the same quiet energy of Johnny Guarneri (someone Lim also loved and featured) but he is his own man, steering his own course between Fats and Bud Powell. With a push from Heard, Thomas is on. And how beautiful his tone is — dark, clear, not “sweet” but not harsh, brassy. All his trademarks are in place: the careful repeated notes, the breath-like phrasing, the upward arpeggios, the pace (no matter how fast the tempo gets, at his best, Thomas mastered the Louis trick of relaxing, of “playing whole notes,” of letting everyone else seem hurried while he takes his time, admires the scenery, adjusts the knot on his tie just so. His bridge is especially luxurious. If, perhaps, you think, “Oh, that’s just Louis-influenced Swing Era trumpet playing, and everyone was doing that,” may I respectfully suggest that a deep immersion in the period will prove revelatory. No one sounded like Joe. Ask a trumpet player you know to listen to that solo, closely, and see if it’s easy to create such a sound, such an effect. Behind Thomas, Brown has been nudging the band along (there are no dead spots on this record) as it shifts into a higher gear, with Heard and everyone else deciding — to use the Thirties expression — “to put the pots and pans on,” to get seriously playful. And that last chorus is a marvel of tidy architecture, of generosity, of variety: sixteen glorious bars for the Judge, Milt Hinton — no one ever talked through his solos! — with the band riffing around and through his sonorous notes, then a “modern” bridge featuring Kersey, four more bars for Milt (how many people understand what Milt understood about the string bass, parallel to Jimmy Blanton?) then four bars where the band says in a politely declamatory ensemble, “THAT’S MY WEAKNESS NOW!” and the record is over. Yes, I have heard recordings like this in our century, and, better yet, bands actually doing these glorious acts of solo brilliance and communal swing on the bandstand, in person, but this 12″ 78 is imperishable. There are a million ways for an improvising jazz group to sound, and I wouldn’t be such a bully to insist that this is the only one, or the best one, but it moves me every time I hear it. 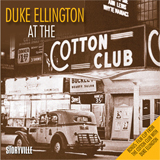 The set is called, logically, DUKE ELLINGTON AT THE COTTON CLUB (Storyville 1038415). It begins with two selections — piano solos — taken from a “Saturday Night Swing Club” broadcast on May 8, 1937, and ends with the Ellington band broadcasting from Sweden on April 20, 1939, as part of an exultant tour. 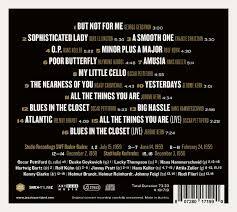 In between there are forty-two selections broadcast live from the Cotton Club, from April 17 to May 29, 1938. “Why is this essential?” you might ask. Most improvising ensembles, then and now, might find themselves somewhat confined by the limitations of the recording studio. It wasn’t always a matter of the time constraints imposed by the 78 rpm disc — two-thirds of the selections in this set would have fit on commercial releases. 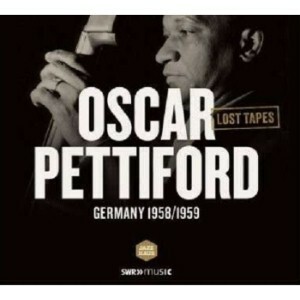 But a recording session brought with it the pressure to make a mistake-free performance, which sometimes stifled the spontaneity so needed for improvisational brilliance. There is also the indefinable but audible give-and-take between a happy nightclub audience and the musicians on these discs, something that the dead air and clock of the recording studio could not reproduce. 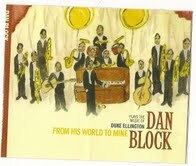 These broadcasts give us tangible swinging evidence of what the Ellington band sounded when playing for real audiences — and of the variety of its approaches to identical material (three versions of IF DREAMS COME TRUE, for instance). 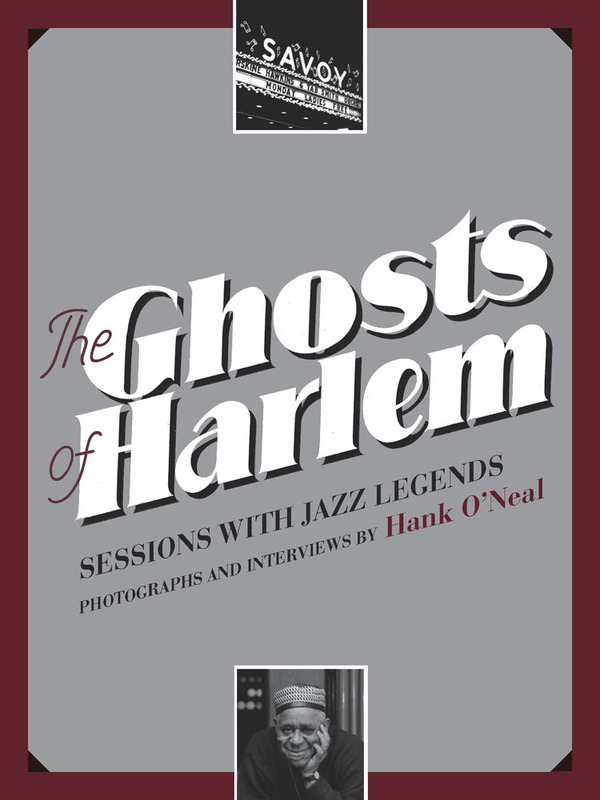 The accepted Ellington history is that the band reached a peak in 1940-1 when Ben Webster joined the band and Jimmy Blanton became the bassist, and the Victor recordings in this period are extraordinary. And the Fargo, North Dakota, dance date of November 1940 (seventy years ago next month!) has a swaying unbuttoned splendor. But any history that deals in peaks and apexes is suspect, and if Ellington had disbanded in spring 1938 I think we would be mourning this orchestra as a great accomplishment, a merging of vividly disparate personalities all going in the same direction on the bandstand. What we hear in these airshots is the band taking on pop tunes, originals, jamming in small-group contexts, melting Ivie Anderson vocals — a wonderful banquet with extraordinary solo and ensemble work from the Masters: Bigard, Carney, Hodges, Cootie, Rex, Greer, Lawrence Brown, Tricky Sam, and so on. The set begins with two Ellington piano solos — SWING SESSION (SODA FOUNTAIN RAG in new attire) and a ruminative medley of two ballads, and it ends with a priceless long airshot from Sweden, where ROCKIN’ IN RHYTHM is framed by a mournful, pensive SERENADE TO SWEDEN and a Swedish pop tune, IN A LITTLE RED COTTAGE (BY THE SEA) which Ivie sings most tenderly. And there’s even a one-minute video clip of the Cotton Club itself. Ellington collectors will have known this material (discs were cut for composer / arranger / theorist Joseph Schillinger) when it was issued in part on two Jazz Archives records perhaps thirty-five years ago. And some of the tracks were issued elsewhere on even more elusive issues. But the Duke Ellington Society bulletin informs me that several tracks here were never issued anywhere, and it is delightful to have it all collected — in clear transfers with erudite notes by Andrew Homzy.